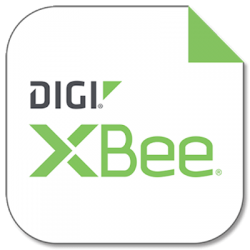 Digi XBee® Mobile is an iOS and Android compatible app for connecting and configuring Digi XBee3 devices using their new onboard Bluetooth. If you are familiar with Digi XCTU, you will immediately have a comfort level with the mobile version, which provides the same functionality. 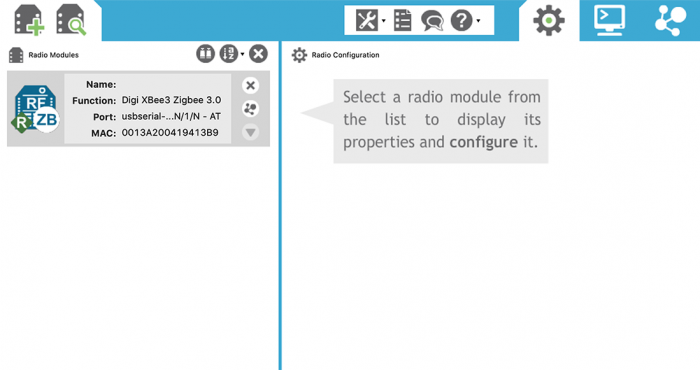 The XBee Mobile App helps commission, provision, activate, investigate and update your Digi XBee3 radio modules wirelessly, with no physical access required. Once Bluetooth is activated you can leave behind your heavy laptop, development board and USB cables. Going forward, your smartphone is all you’ll need to manage your Digi XBee3 radio module. 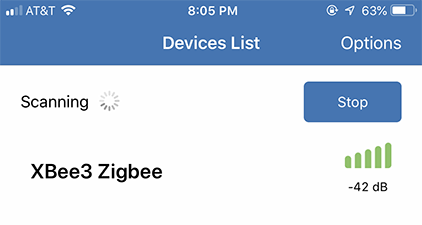 Look for and connect to nearby XBee3 BLE devices. Get basic information about the device and the firmware version it is running. 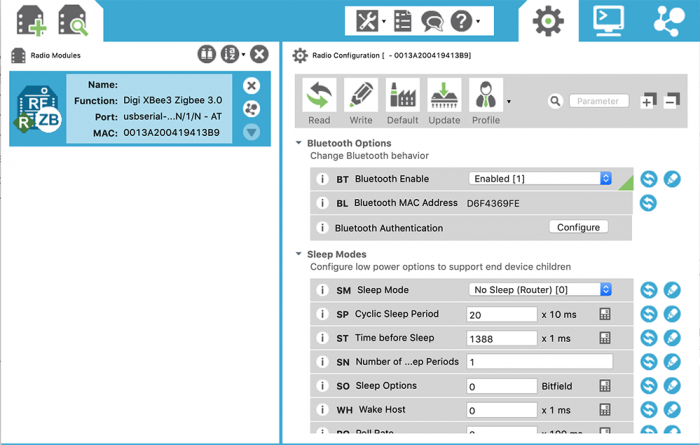 List all the configuration categories and settings of the firmware running in the XBee3 device. Read and change the value of any firmware setting. Perform a remote reset of the device. 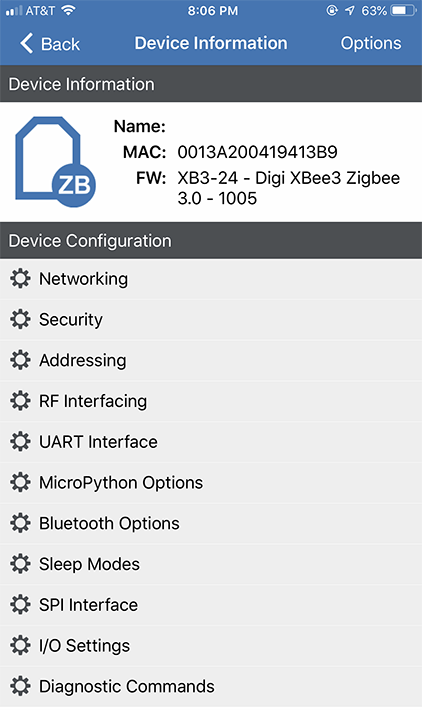 Let’s get our hands dirty with a Digi XBee3 Zigbee radio module so you can see for yourself how easy and convenient it is to configure an XBee3 from your smartphone or tablet with the XBee Mobile App. All Digi XBee3 modules are ready to run Bluetooth. Those with a PCB or Chip antenna require no further components. U.FL modules require an external 2.4 GHz antenna. RF Pad modules expect to be connected to an antenna at the board level. Digi XBee3 Cellular modems require connecting an external 2.4 GHz Bluetooth antenna, in addition to the cellular LTE antenna normally used. Bluetooth can function even without these antennas, however range will be greatly reduced, so this is not recommended. 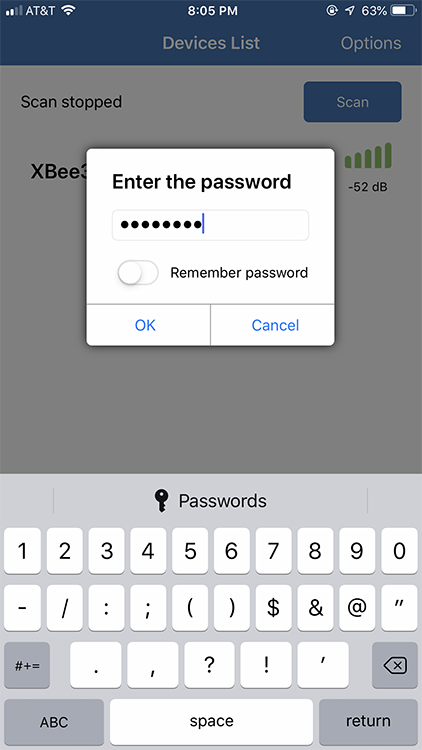 Before using the XBee Mobile App, you’ll want to activate Bluetooth on your Digi XBee3 and assign it a password using the XCTU application on a Windows, MacOS or Linux computer. Download XCTU onto your computer and install it. Mount an XBee3 radio onto the XBIB evaluation board and connect it to the computer. Launch XCTU and add a module, using the icon with the plus sign in the upper left, then selecting the appropriate port and baud rate. Click on the radio module in the left column to select it. The module’s configuration will be displayed in the right column. 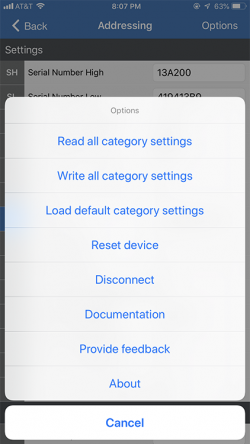 Scroll down to the Bluetooth Options section to configure Bluetooth settings. Set BT Bluetooth Enable to “Enabled (1)” and click the pencil icon to save that change to the radio module. If a Bluetooth password has not been set, you will automatically be asked to configure it. The Configure Bluetooth Authentication screen is displayed. Enter a secure password for Basic configuration and click OK to complete the setup. 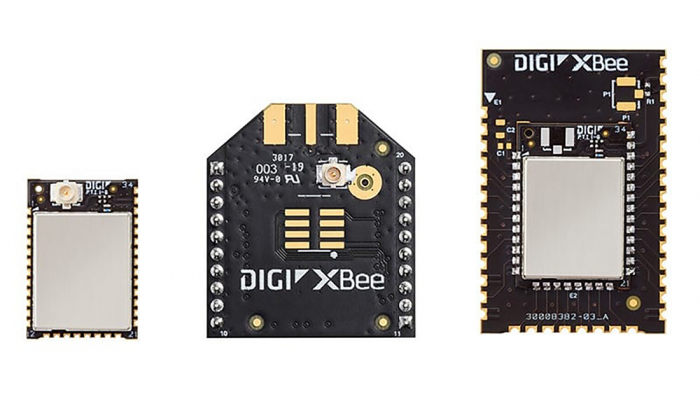 Your Digi XBee3 radio module now has Bluetooth activated and will allow secure connections from the XBee Mobile application. You can leave the XBIB evaluation board connected to the computer for power, or change to a portable USB battery power supply to go fully wireless. The XBee Mobile application is a free download for both Android and iOS. Download it onto your tablet or smartphone and launch the app to continue. Be sure to review the XBee Mobile App documentation. Once the app is installed with your XBee3 radio module powered on, you’re ready to connect. 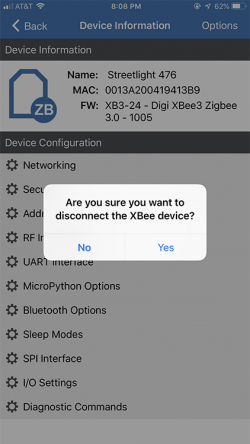 When you start the XBee Mobile app, it will search for all nearby Bluetooth-enabled XBee3 radio modules. Tap on your XBee3 to select it. Enter the password you configured during the XCTU setup. 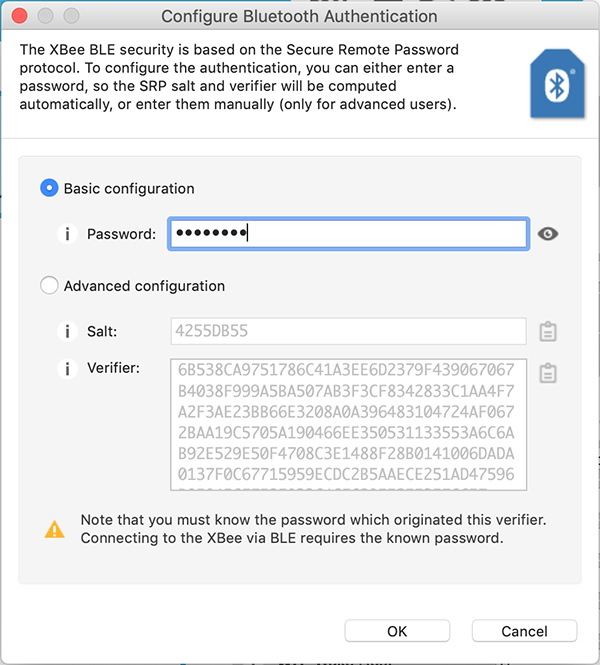 When you have entered the correct password, the XBee3 device configuration categories will be displayed. 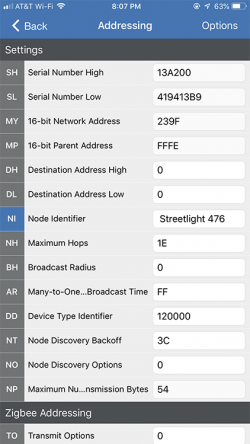 Notice that the module is identified by only its MAC address; the Name field is blank by default. Entering a new setting is very easy. Let’s give the XBee3 a real name, so we can label it in a human-friendly fashion. For example, in a municipal street lighting application, we might give it a label like “Streetlight 476”. 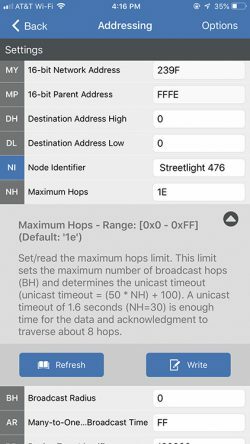 Tap the Addressing category to see the current setup. Scroll down to Node Identifier, which is blank by default. Tap on this field to enter new text, typing in “Streetlight 476”. Tap the Write button once you are done. The information you entered in Node Identifier was saved to the XBee3. It can be displayed in addition to the radio module’s MAC address, making it easier to identify it wirelessly when many others are present. 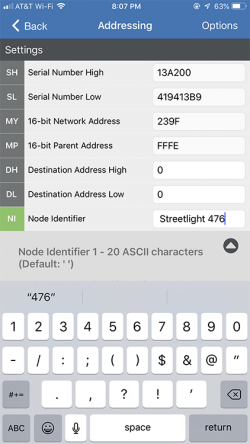 You will see this Node Identifier displayed inside the XBee Mobile application as “Name: Streetlight 476″. Tap Options at the top right of the screen to display various read/write commands for this category, as well as some basic control functions. For now, just tap Cancel and then tap < Back at the top left of the screen to return to the Device Information page. Tapping Options here shows just the basic control functions. Tap Disconnect to end your session. There are a lot of settings to choose from. In many applications the factory defaults will be optimal. It’s best to change only what you need to, though don’t be afraid to experiment within your test environment. It’s a great way to learn. During initial configuration and commissioning of the radio module you may want to set the serial baud rate (UART category, BD Baud Rate), configure GPIO input and output pins (I/O Settings category), change the local API mode (UART category, AP API Enable), request Zigbee coordinator verification during join (Networking category, JV Coordinator Verification) and enable network encryption (Security category). Sleeping the radio module will save energy, battery life and therefore also save money (Sleep Modes category). MicroPython scripts allow intelligent decision making to occur onboard the XBee3 module, if you launch them automatically (MicroPython Options, PS MicroPython Autostart). See our series of MicroPython posts for more information. In the field you can activate one Zigbee radio module to be a coordinator (Networking category, CE Device Role), request serial join verification notices (Networking, JV Join Verification) and see various diagnostic information, including the internal temperature (Diagnostic Commands, TP Temperature). And there’s plenty more. 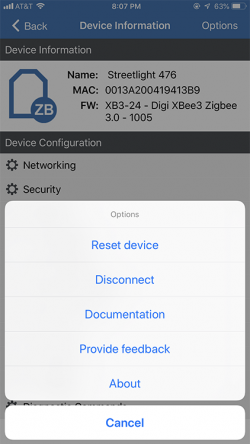 This tutorial guided you through using the Digi XBee Mobile App to connect with and configure a Digi XBee3 device over Bluetooth. You searched for and connected to an XBee3 radio module, viewed basic information, listed various configuration categories, changed several firmware settings and saw how to remotely reset the module. 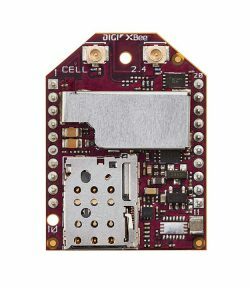 >>> Find the right XBee3 module for your needs on Digi.com. Need some guidance? Contact us for customer support.